Grab your Wonder Woman lunch box, it's time to go back to school. . . The School for Radiant Living's 2015 School Year begins January 2015! where you're met with gentle encouragement, wise guidance, and loving support. looking at health in a holistic way that brings balance, energy and bliss to every area of your life. Learn how other Radiant graduates feel about their success stories! "Working with this program has allowed me to make shifts in my life and open up to insights I didn't realize were waiting for me. I have run up against the same walls time and time again in my life, but throughout the year I slowly saw the bricks crumble down to reveal clarity to what it is I truly desire in all areas of my life. The monthly topics align with the needs of so many women from body image, self-care, to daily practices, and so much more. Regardless of how you think you may be doing in any one area, layers peel away to reveal something underneath you didn't know was lurking. The support of the group helps you work through and beyond what is no longer serving you and recreate the self you have always known was awaiting you underneath. It is so amazing to reflect on the growth that I have made in working with these compassionate and supportive women. My confidence has increased tenfold and I truly feel more "sassy"! My positive experience in the program will no doubt bring me back for another year so I can continue to open up to my potential and peel away even more layers to connect with myself again and again. "I am usually one to shy away from the group thing, but something drew me in to the program, and I became very trusting of the environment and coaching. The program empowered a safe place for me to explore, become vulnerable, be challenged, and grow. This year I made life changing moves that I may have never made by myself, or with a single coach or counselor. I highly recommend it for any woman who wants to enable her most powerful self." It is YOUR time to fall in love with yourself. We are starting a RADIANT movement. A movement steeped in radiance and learning styles and formats that complement rather than complicate our modern lifestyle. Welcome (applause, woot woot, holla) . . . to The School for Radiant Living. The foundation for the School for Radiant Living is years of experience in health and personal transformation coaching, along with yogic inspired teachings, and Health Wise, Sue's recent book. This powerful framework has helped thousands of women live a radiant life they love. The School for Radiant Living for Women is a comprehensive online virtual coaching program with two live retreat weekends placed at strategic times for enhancement and connection. We use a teleseminar program for both our bi-monthly expert guest speakers and our transformative q&a calls. This isn't your old school live class in those uncomfortable plastic chairs, fold down desks, and auditorium seating. In the School for Radiant Living, you'll get cozy on your favorite couch or chair, with you warm cup of tea, or join us on your cell phone from your favorite place lounging in the sun in your own yard. We've revolutionized our relationship with teaching and learning. The Bi-Monthly Class Calls: 60 minutes of juicy content with monthly themes to lead us on both a personal and collective quest towards health and happiness. You will receive follow up each call, new theme content each month, weekly action items and follow up emails and recordings (in case you miss the call). The calls will be a combination of classes taught by lead teachers, Sue Van Raes and Angela Grace, and tantalizing guest speakers who are experts in their fields in fields such as food psychology, sexuality, and financial freedom. 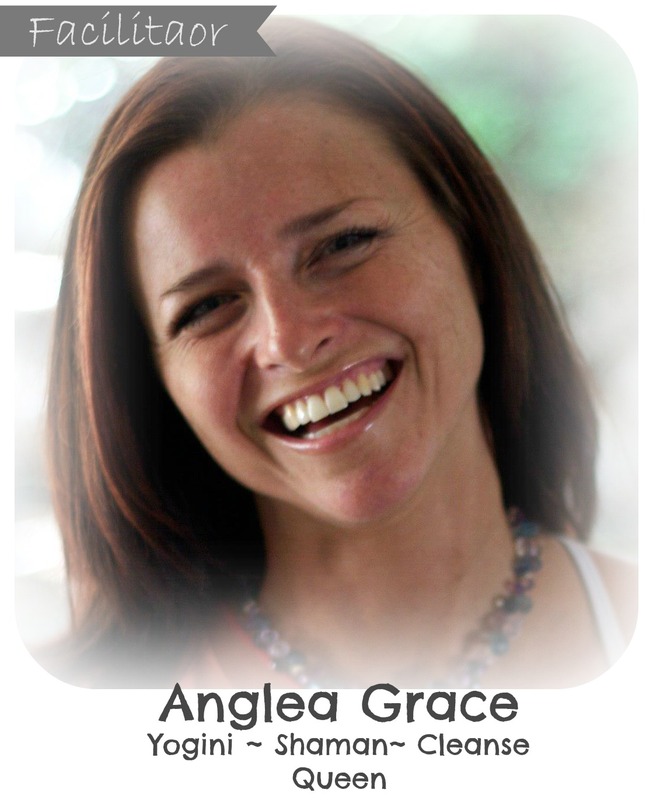 Angela Grace spends her time loving life as a yogini, shaman, and cleanse queen. Angela teaches yoga locally in Boulder as well as internationally. Her current labors of love include The School for Radiant Living, local Boulder yoga programs, and yoga retreats in Costa Rica and Bali. With a laser-focused vision for healing, Angela empowers others to heal challenging health conditions and injuries through her powerfully effective nutritional cleanse and supplement program. A practitioner of Shamanic Energy Medicine, Angela assists others to stalk the truth, track trauma, clear energetic patterns and empower joy to emerge within sacred space and ignite fierce grace. 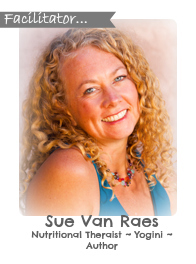 Sue Van Raes is a passionate and dynamic Nutritional Therapist and Health Coach in Boulder CO. Founder and creator of The School for Radiant living, she is passionate about living a life of RADIANCE from the inside out. Sue is also the AUTHOR of the recent book, Health Wise, Health and Happiness for the Empowered Woman. Sue is the owner and operator of Boulder Nutrition where she hosts her private practice, individual programs, and international retreats since 2003. Sue gracefully combines clinical nutrition, wholistic health and food psycholgy practices for women of all ages. Powerful Community Support: For 3 months at a time you will have an optional accountability partner from the group, who you will check in with briefly each week to process your goals, successes, and challenges. This relationship will both support your personal progress and also connect you deeper with your schoolmates in the School and Radiant Living. You will have the opportunity to establish relationships with at least four new BFF's throughout our year together. Virtual Support: For elevated learning, face the books! . . . Facebook that is! For the entire year of your School for Radiant Living, you'll have access to a private Facebook group to connect with your schoolmates, your coaches, and the School for Radiant Living team. Share your stories, celebrate your triumphs, and reach out for support and community. Amazing Guest Teachers: Remember that 8 am chemistry class you used to sleep through? That won’t happen again with the School for Radiant living…You won't want to miss these dynamic teachers! We are bringing in our favorite colleagues from all over the country, so you'll get their special, fresh, and ultra-valuable perspectives to boost your Radiant Living experience. They'll each join us for tantalizing teleseminars to share with you specialized tools for transformation in their areas of expertise. You can visit our School for Radiant Living TEAM page here for all the info you want about our super hero crew. Radiant Revitalizing Retreats: A healthy alternative to other back to school antics, our retreats intend to inspire, motivate, transform, and connect you with your Radiant Living schoolmates. To enhance our experience and enjoy focused time together, the School for Radiant Living hosts two weekend retreats during our year long program. Our first kicks off our work together, opening our year, meeting and greeting and setting the stage for the year together. Retreat #1 takes place in Boulder, Colorado, and is two days at a local venue. The second is a destination retreat weekend in Colorado, where we culminate our time together, soak in hotsprings and enjoy a wonderful weekend of soulfulness, yoga, and ritual. These retreats have proven to be amazing, heart warming, and full of depth. VARSITY School for Radiant Living Includes: Additional One-on-One Guidance: Want a little extra loving support from us? We've listened to the wisdom of popular demand and are thrilled to offer you to add on six private, one-on-one sessions, three with Angela Grace and three with Sue Van Raes. We offer an array of therapies and modalities. Some of which include Nutritional Therapy, Food Psychology, Cleanse Coaching, Structural Integration, Shamanic Energy Medicine individual healing sessions, and Private Yoga of many sorts to support you on your personal journey. We know this program is a big investment, both financially and emotionally. The rewards, though... priceless! A lifetime of RADIANT living practices you will take with you forever, friendships that last a lifetime, and women's work that nourishes the soul. Take a moment, take a breath, and ask yourself if any of these fit you next year's goals and intentions. Please let us know any and all of your questions, and we are happy to schedule a 30 minute consultation with you personally (via phone or in person) to make sure you have all of your questions answered. Only you can say YES to a commitment that will transform your life in extraordinary ways. You must be willing to be step up to the challenges, to be successful, and to have what you want that serves your highest good . . . and commit yourself fully to do it! Our teleseminars will be held on Tuesdays, at noon alternating weeks beginning January 21st, 2014. If you cannot make the teleseminars, don't worry, you'll receive a recording of each, yours to keep forever. Plus, if you know you can't make the q&a calls, you can submit your question in advance, and we will be sure to address them on the call. 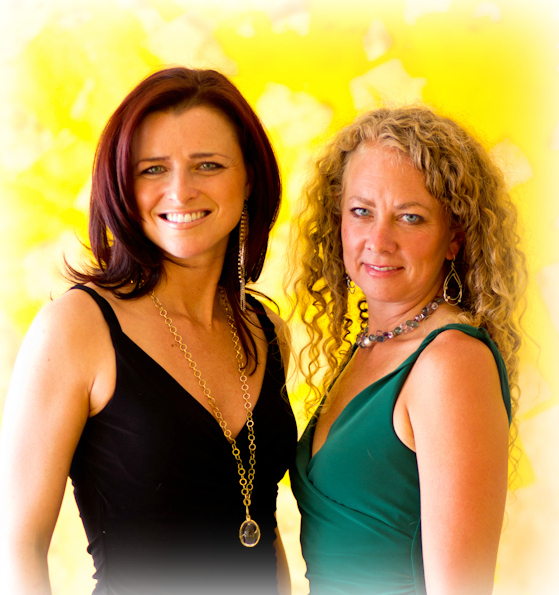 Radiant Revitalizing Retreats in Colorful Colorado!